Michelle Davies | The Journal Gazette Jamie Lucas holds her 5-month-old granddaughter Caroline Moran on March 27, 2018. 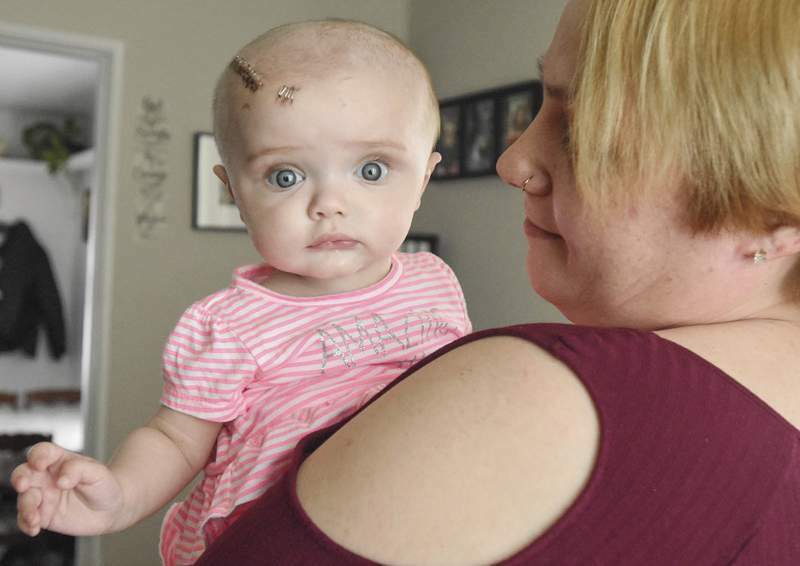 Caroline underwent emergency surgery for a brain bleed in March 2018. 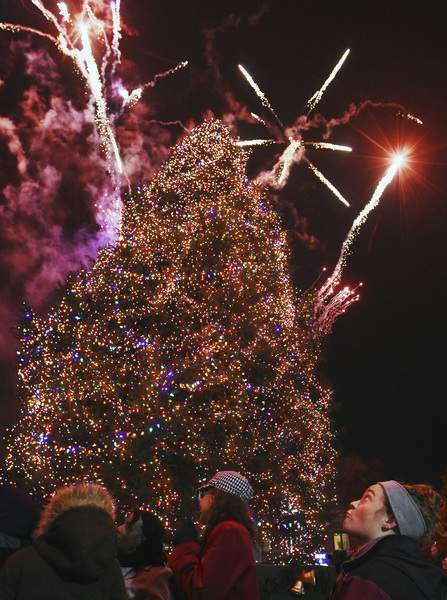 Rachel Von | The Journal Gazette Bethany Gehman looks up as fireworks go off during the lighting of the tree Nov. 16, 2018, at Christmas on Broadway in front of the Shine & Hardin building on Broadway Plaza. 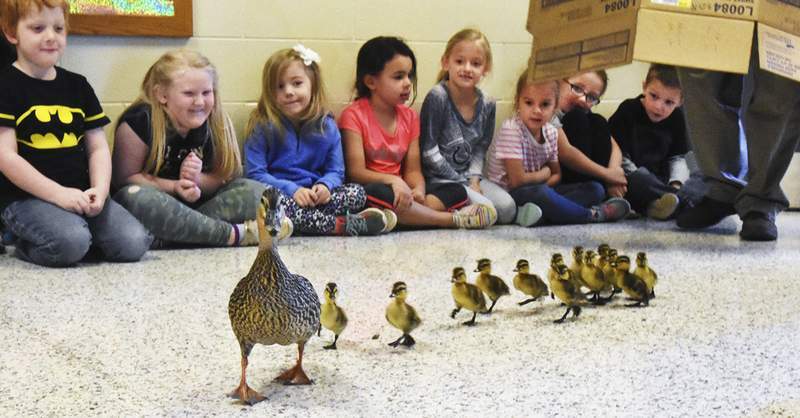 Cathie Rowand | The Journal Gazette Cedarville Elementary kindergartners watch a momma duck and her 13 ducklings, who were raised at the school, as they are escorted from the courtyard, through the halls and outside to a pond on April 30, 2018. 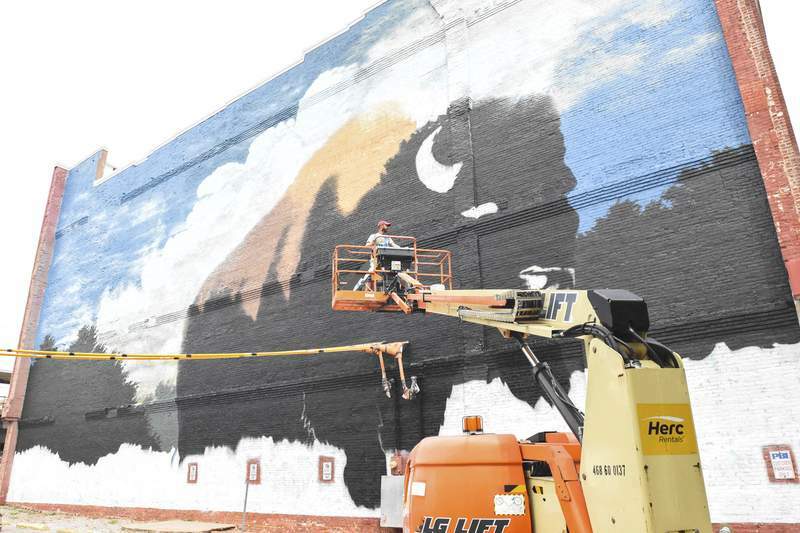 Michelle Davies | The Journal Gazette Tim Parsley moves into position to work on his bison mural on the side of a building at West Columbia and South Harrison streets Aug. 6, 2018. The project is sponsored by Mark Millett and the Fort Wayne Chamber Foundation. 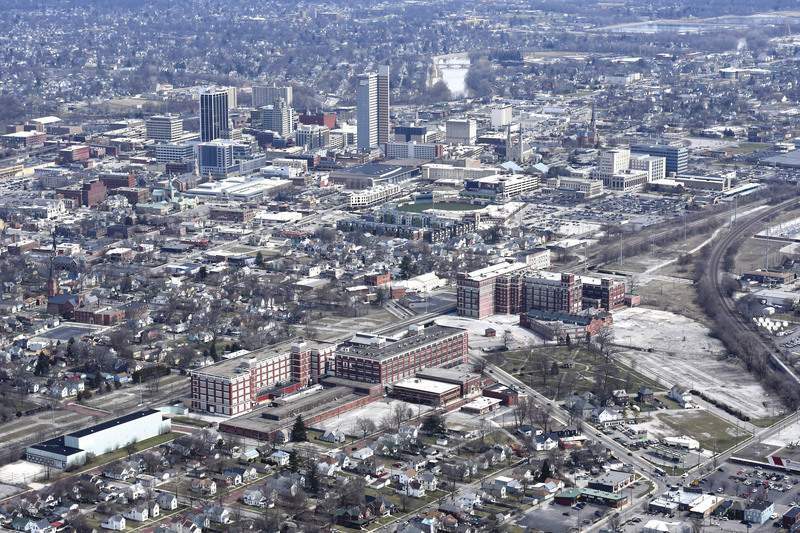 Cathie Rowand | The Journal Gazette South of downtown, the Electric Works campus, seen in this aerial photo, is poised to be Fort Wayne's next big development project. 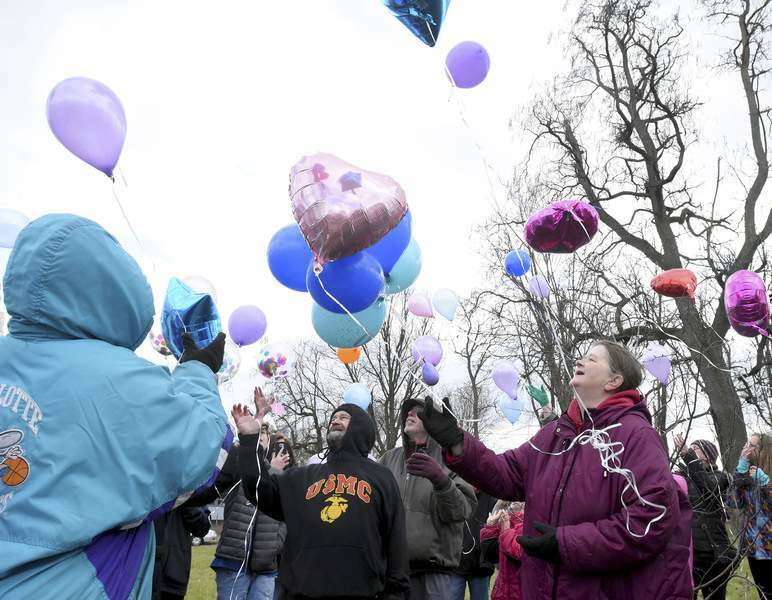 Rachel Von | The Journal Gazette Janet Tinsley, right, the mother of April Marie Tinsley, releases balloons along with others gathered at Hoagland and Masterson avenues April 4, 2018, to remember the 8-year-old girl, who was killed in 1988. 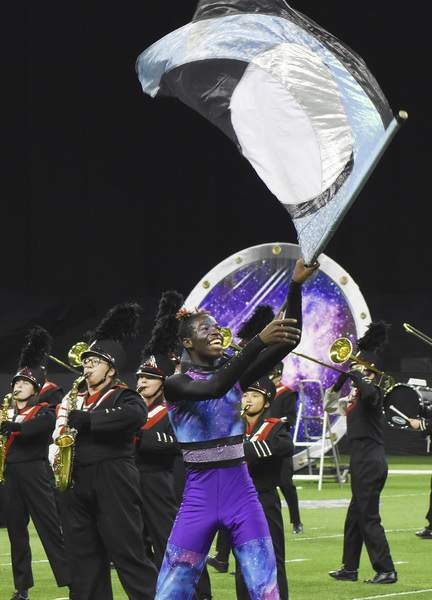 Rachel Von | The Journal Gazette Tre Martin, a member of North Side High School's color guard, performs alongside the marching band during its performance of "Spaced Out" at the Indiana State School Music Association's State Marching Band Finals on Nov. 3, 2018, at Lucas Oil Stadium in Indianapolis. 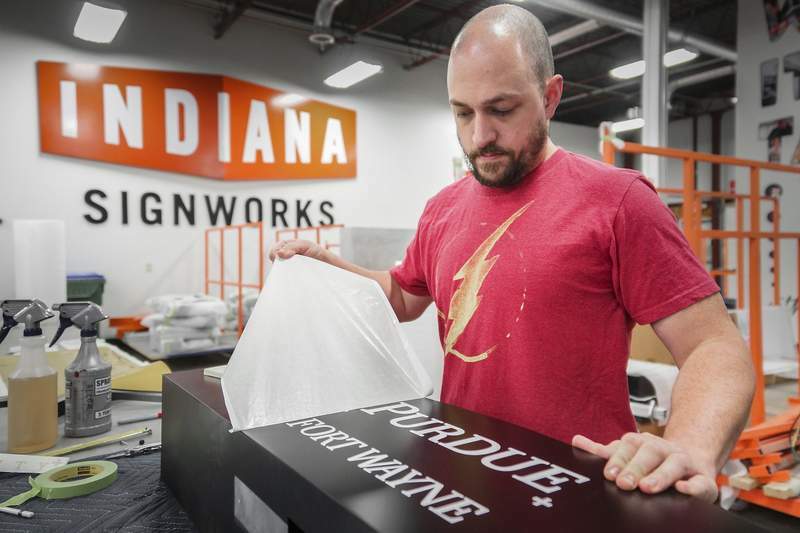 Mike Moore | The Journal Gazette Andy Godsey, a specialist at Indiana Signworks, removes the vinyl backing from a Purdue Fort Wayne logo sign made June 22, 2018, at the local company on Production Road. 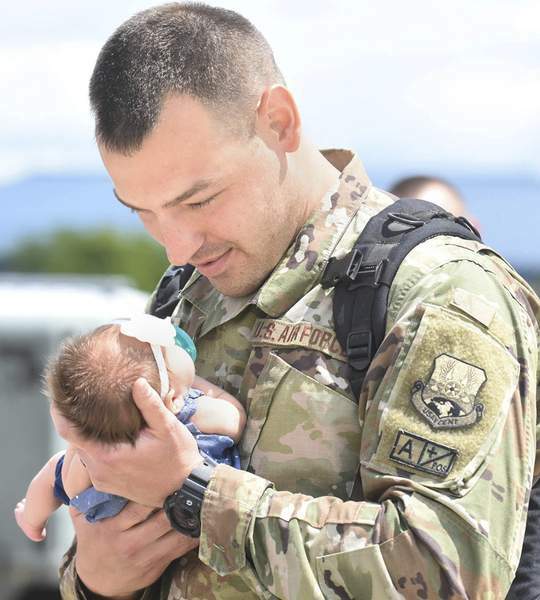 Michelle Davies | The Journal Gazette Airman Josh Pulfer meets his 2 1/2-week-old daughter, Jade, after returning to the 122nd Fighter Wing July 27, 2018, from a deployment to Afghanistan. Jade, originally due Aug. 8, made her appearance July 8 with Dad on hand via video conference as his wife, Kacie, gave birth. 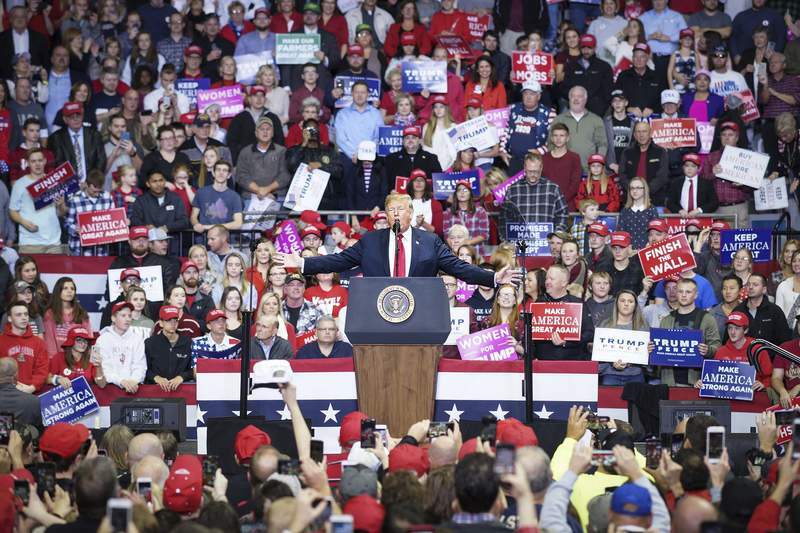 Mike Moore | The Journal Gazette President Donald Trump speaks at a rally Nov. 5, 2018, at Memorial Coliseum becoming the first sitting president to be in Fort Wayne since 1982. The Journal Gazette's top pictures of 2018. To see a collection of Fort Wayne's year in pictures as compiled by Visit Fort Wayne, click here.